VW Writer Blog is a clean, sleek, modern and intuitive WordPress theme for people dealing with literature. This multipurpose theme is useful for bookshops, online bookstores, eBook portals, libraries, reading clubs, literary clubs as well as for writers, authors, journalists, editors, publishers, online course providers, online libraries, book hubs and similar websites concerned with literature, reading, and books. It can also be used for writing literature blogs and to start an online store for selling music, movies, and video games. It is thoughtfully crafted to cover all aspects of a literary website with attention to fine details. 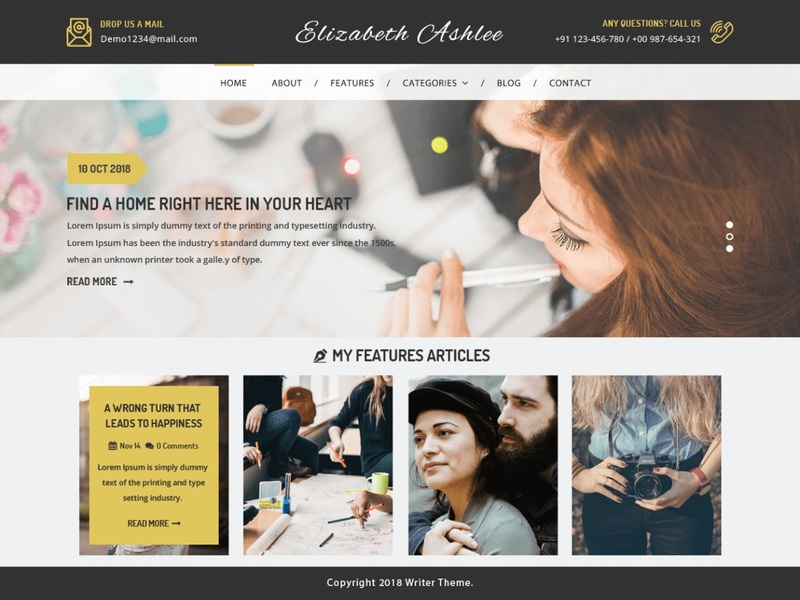 This bookstore and writer WordPress theme is readily responsive, cross-browser compatible and translation ready to fulfill the growing demands of present-day users. It is a search engine optimized theme to easily divert traffic towards your site by ranking higher in search results. VW Writer Blog proposes a profound customization to give your website a personalized feel. It has used social media icons to make your content reach maximum people. Banners and sliders bring vastness to the website. It follows standard coding rules yielding a bug-free and secure website.